We saw a change of venue and pace for MM6 Maison Margiela this season as the team jetted to the Via della Spiga in Milan for their FW19 presentation. 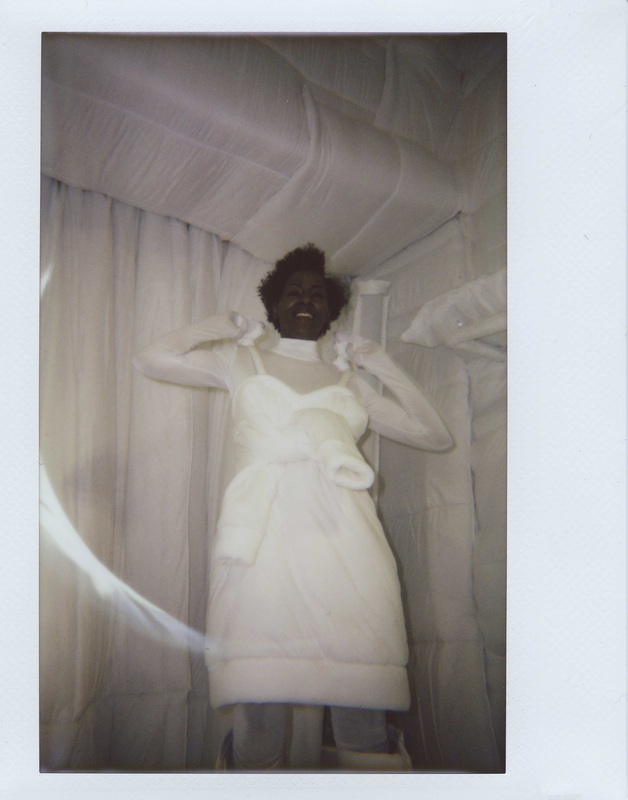 The small venue, blanketed in white duvets, coordinated with a wardrobe of pillow-y puffer jackets and dresses, and very slightly disproportioned layers reminiscent of the founder’s early ‘90s collections. The mood, all-white everything, from sock boots and inverted wine bottle bags to cushioned lettering sprawled across the fronts of suit jackets, was offset by a cast made up of diverse local women, all above a certain age and from different walks of life.